Former world champions: Jackie Stewart (with cap and wife Helen) chatting with Troy Rogers, probably about the 2J which Stewart once drove. 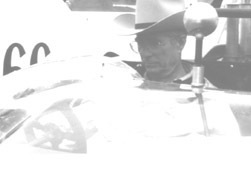 Right: Phil Hill with Hall and Rogers. 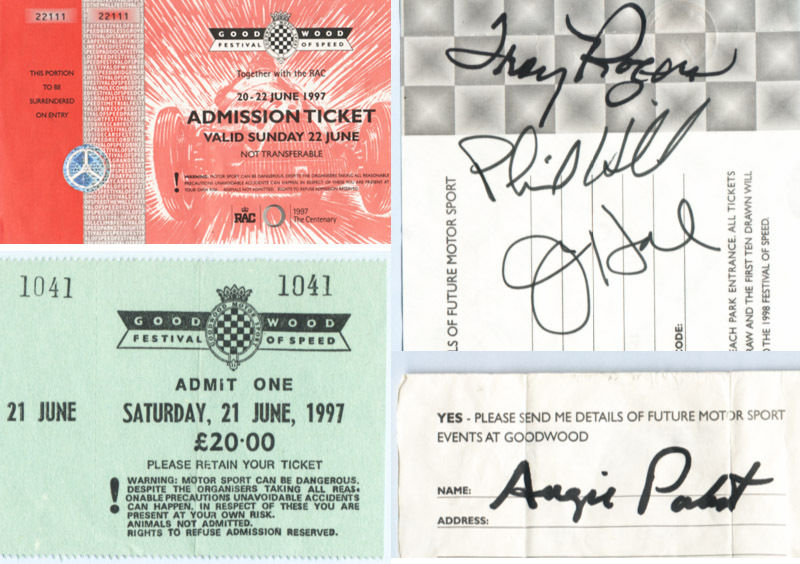 Festival tickets and signatures of Troy Rogers, Phil Hill, Jim Hall and Augie Pabst.